Beadsaholic is Hosting an Annual Ohm Gnome Festival Giveaway! Our Winner of the Annual Ohm Gnome Festival Dream Gnome Home Giveaway is…. Today is the start of the Ohm Gnome Festival! See full details of Festivities here! Now let’s play a little hide and seek! 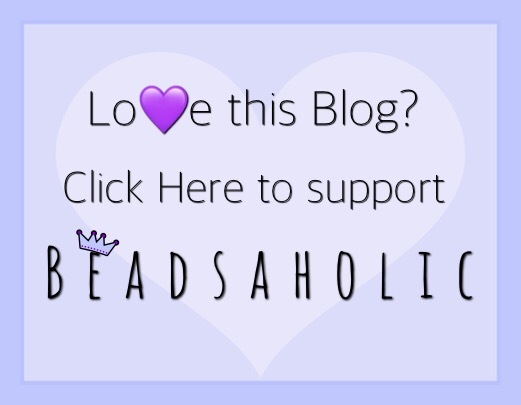 First, like Beadsaholic on Facebook or follow on Instagram, then like and share the giveaway post that is on Beadsaholic Facebook or Repost on Instagram. Second, now it’s time to play! There are three Bubble photos of Aunt Gnome hidden here on Beadsaholic website, find each bubble and answer the questions in the comment section below. The more creative the better! Third, once done, go back to Beadsaholic giveaway post on Facebook or Instagram and comment “DONE”. The Contest starts today Friday, June 9, 2017 and ends at 23:59 (11:59 pm) CST Sunday, June 11, 2017. Winner will be random and announced Monday, June 12, 2017. Winner will win an Ohm Beads Gnome Home. Winner will be announced on Facebook and Instagram. Please direct message me with your info. Prize will be shipped from Ohm Beads. Every Gnome needs a home! So why not give your Gnome a dream home, the Ohm Beads Gnome Home! Hope you all have fun and enjoy this contest! Good Luck to all of you!!! Don’t forget to leave your answer below in comments! Be sure to check out all the other giveaways, retailer promotions and all the great stuff Ohm Beads has in store for us on Facebook! Complete details here. I do not know if I have published my answers in the right place, I made it on the different pages where I found the bubbles. – Moving into my Ohm Gnome House, I would take the Luna bead because it represents unconditional love, and it make me think to the It makes me think of the immensity of the sky and the space. – Gnomes love to travel ! My favourite vacation destination is the Brittany in France, because it is the location where I spent all my vacations when I was a child, and the place where I go is the french department “Finistère” which means ” The end of the earth ! ” . I love the ocean and waves and celtic stories !! DONE . Thank you so much for this wonderful giveaway. It was so fun to daydream this morning. So glad you had fun, Lizzy! My dream home would be in the Lake District surrounded by beautiful mountains, lots of walks for me and my dog and scenic lakes. 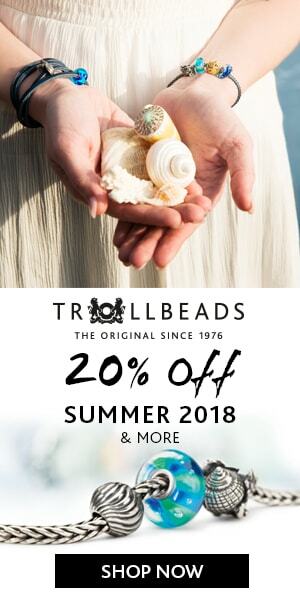 I would take Gnome bead of course to go on all my lovely walks. My favourite vacation destination is Cyprus , gorgeous villas orange groves and water so blue it’s dreamy. Sounds beautiful and yes very much dreamy! If I could only take one bead with me it would be the botm Deadhead because I love Halloween and I can’t leave without spooky things around me. I would love to go to Scotland because it is so green, you can see so much nature there, and the castles are so beautiful, their history and legends are so interesting and also I love the weather there, cold and rainy days are my type of weather. I would live somewhere in the UK or Germany, in a house from the IXX century, with that Crimson Peak and Penny Dreadful vibe, I adore victorian houses, the pointy towers are to die for. Oh yes! Sounds perfect! I also love Halloween, which is why it’s my favorite season! Done <3. What a nice giveaway. I really enjoyed it to search and play. Have a great ohm gnome festival everyone. Xoxo. Let’s see, for the first I would take Mr. Grome, we need to do adventure together. Second, we would go to Denmark and see all the beautiful land, see viking ships in museums, and castles. My Dad told me there was a haunted one there. Mr. Grome and I would have to investigate. Third, we would come back home. I would love to be in a victorian home but home is where your heart is, so back here we’d come and hang out in the yard and see if Mr Grome would have a party with the garden gromes. Hide the beer! OK, trying this again and with glasses on. One, I would take Mr. Gnome with, need some adventure and fun. Second, we’d go to Denmark to see the beauty of the land, Viking ship museums and cast. My Dad told me there was a haunted one there, I want to find it and with Mr. Gnome. Third, I’d love to live in a Victorian style home but home is where the heart is. So, back home to the yard to relax and have Mr. Gnome get to know the garden gnomes and hide the beer on them. 1)When moving into my Gnome home, I’d take my brainiac bead. It helps my think big. 2)My dream home would be a home located where the front view is of the pacific ocean, the back view is of beautiful snow capped mountains, one side view of castles in the hills and the other side with a view of a beautiful flower garden with numerous varieties. 3)Vacation destination would be Italy. For all the ancient ruins and beautiful countrysides.